We specialize in providing our clients with exceptional 2D and 3D designs, rendering, advanced job estimating, and the highest quality of construction all at the lowest price. Kitchen and Bathroom Renovations Authorized DeWils Dealer Although bathrooms may seem like a small renovation,the process can be quite daunting,with several choices to make on tile colors,faucets,shower system,cabinetry,countertops,and the list goes on.That's where we come in-our professional designers are available complimentary to you to make your dream bathroom a reality. 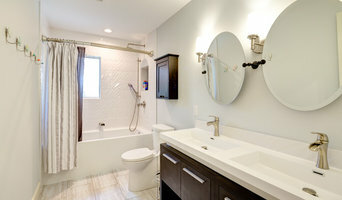 Bathroom remodeling Calgary is our specialty! 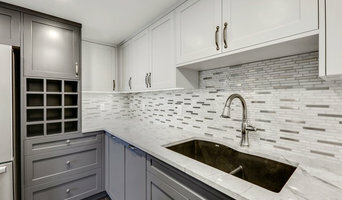 Kitchen remodeling and renovations may seem a bit daunting when you consider this is generally the focal point of your home,and you may only do it once.That's where we come in-our designers will help you design not only a beautiful kitchen renovation but a kitchen that functions the way you need it to. Everything from proper lighting to great color choices in wood stains,stone countertops,tiled back splashes - all to make your dream kitchen renovation come to life! 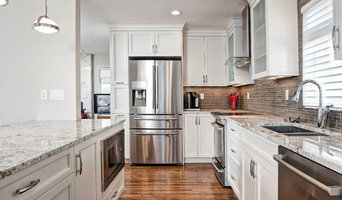 Kitchen renovations and remodeling Calgary is our specialty!! Living Space Remodeling That living space - so much potential-but where do you start? That's where we come in! Our professional designers are here to help you create a living space renovation and remodel that will make your dream space a reality! Living space renovation and remodeling Calgary is our specialty! Complete Renovations So it's not just 1 bathroom, but 3 that need renovating and remodeling,and then there's the kitchen! That's where we come in! We are your one stop shop kitchen remodeler, bathroom remodeler and living space remodeler and everything else in between. Our professional designers are here to assist you in making the hard choices to make your complete renovation and remodeling project come together in flow,functionality,warmth and beauty. 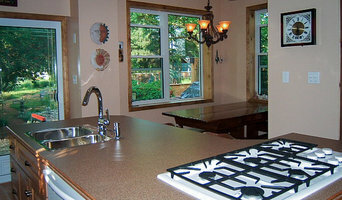 Complete renovations and remodeling Calgary is our specialty! Custom Cabinetry You know what style of cabinets you want for your kitchen remodeling or your bathroom remodeling project,but the box stores just can't fill your needs,your style, your vision of what you want. That's where we come in! 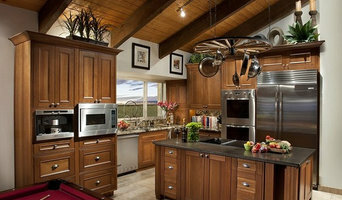 Our professional designers are here to assist you in creating custom cabinetry that truly fits your dream,your vision. We only build the best custom cabinetry for your kitchen renovation and remodeling, bathroom renovation and remodeling, closet organization, entertainment units, wet bar cabinets, and office cabinets. Custom cabinetry Calgary is our specialty! Talee Renovations prides themselves on creating beautiful spaces that are built right. We are Calgary's referred residential renovator because safety and sustainability is a focus for every job. We are a team of talented and courteous people dedicated to providing the highest quality electrical services coupled with integrity and friendly disposition. Our business is professionally hands on and on site. To us, you are like family, and we're watching out for you and your best interests so we can achieve the best for you. Les Popovics owner has over 30 years construction experience. He has spent his life in many aspects of the construction & renovation field, including Managing , coordinating over 45 employees for 10 years as production manager for a large North Vancouver renovation company. We've got the tools - being professional in all aspects of our business means we also have the tools to do the job right, efficiently and professionally. We've also got the trade knowledge to keep up with ever-changing trends and building codes. We look forward to working with you on your next home project! Since we started business, our clients have been guaranteed quality, service and durability that will stand the test of time. No matter the size of project, our approach and care is always the same. Calgary based Kim Cameron is the principal owner-designer at Creative Home Decorating and her passion for beautiful interiors shines through in every page of her impressive portfolio, Kim has the ability to take the simplest of décor ingredients and mix and match them with stunning results. Who else offers you their interior design services on a one day basis? Kim will come to your home and help you to rearrange the furnishings you already have to give a fresh and revitalized look to your home at minimum expense. Laratta Homes has been translating our clients’ dreams into artful homes as exquisitely functional as they are exceptionally beautiful. Bohlmann Construction is a reputable company that was established in 2006. We'll go out of our way to meet your specifications, and your ideas will remain important to us from start to finish. The general contractors at Bohlmann Construction are prepared to help you upgrade your home. Our locally owned and operated company assists property owners from Calgary and the surrounding areas, and our priority is to deliver amazing-looking results that endure over time. We have a vast amount of experience in the home improvement industry. For each project, we create a detailed design plan, budget, and schedule. Our goal is to ensure that each phase proceeds smoothly, and our skilled staff pays attention to safety. By using quality materials and efficient techniques, we're able to give our customers a superb value for their money. Contact us today to set up a consultation with one of our general contractors. Our company is proud to serve Calgary, AB. Take us up on a completely free no obligation quote. We are dedicated to fully fleshing out our client’s needs, followed by delivering on the service they’re looking for in a timely, efficient manner. District Homes is one of the leading Calgary home builders and general contractors. We are dedicated to the highest quality workmanship and strive to provide the best possible service to every client. MBL is fully insured, bonded, covered by WCB, and has an A+ rating with BBB. We offer a two-year warranty on everything we do. We are also licensed as a prepaid contractor. Our reputation with clients is extremely important. We are proud to say that 90% of our business comes from referrals. In order to refer us to someone, you must have trust that we will do a great job for them. And we must have done a great job for you! Thanks to all who have done this, as you are the reason we are here to serve our home area. The majority of our staff is family. We are a general contractor that is physically involved in the work. We also have a network of professionals and licensed trades people in the area we use to help with your projects. At KCB Cabinets & Renovations, we specialize in kitchen & bathroom remodels, custom cabinetry, full home renovations, and more. Our customers love our start to finish services. Visit Our Showroom! For over 20 years, Mountview Ltd. has been the leader in kitchen & bath remodels, room additions, & entire home remodel renovations; all while focusing on quality, service, and customer satisfaction! At Paramount Projects we thrive on providing and sustaining relationships with our clients like no other company. We want to make sure you stay excited throughout the process, as well as keep you informed and up to date on what is happening in your home at all times. You will find that we take a more personal approach because we enjoy what we do, and it shows. Choosing to renovate with Paramount Projects, begins a process as custom fit as the final result. The first step is an in-house consultation to determine the nature and compass of your project. Complete measurements of the space come next, from which plans are drawn by our team of professionals. Add custom finishing materials to your specifications with a designer of your choice or we have wonderful designers who would love to make your home just the way you always imagined. At Paramount Project we not only believe in bringing your home renovations to life but helping our Calgary community grow and build for the future. The Crist Family Foundation was formed in honour of my amazing mother Jan Crist. She passed in 2012 from cancer, and it's our belief the money came from her in some way, and will allow us to change many lives for more than just our generation. Our family Foundation will help out a lot of charities for years to come but the ones that top our list are Cancer research and The Children's Hospital. Our foundation not only wants to aid financially, but we would also like to help physically by getting personally involved in the actual charities. We want our children to experience the joy of changing people's lives, instead of just writing cheques. Join our team and call us today. We appreciate your support and are grateful you have chosen Paramount Projects for all your home renovation needs. Thank you. Envision Custom Renovations is based in Calgary. We are a qualified team of professionals that deliver quality services and products creating high value for you. Our team approaches your renovation in a fairly unique way in the renovation business. We put the focus on you, meeting your deadlines, and making sure you are happy with the end result!